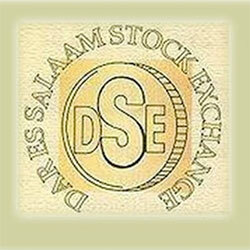 The Chief Executive Officer of Dar es Salaam Stock Exchange (DSE) Moremi Marwa in an interview with Reuters on 1st July, 2015, announced that the Tanzanian stock exchange is planning to self-list at DSE through an Initial Public Offering (IPO) six months from now. The capital raised from the IPO, will be used to improve current trading conditions and upgrade the bourse’s trading infrastructure explained Marwa. With improved infrastructure and services, DSE wants to encourage more companies to raise funds through the exchange, since it represents a cheaper option against current lending rates. According to the World Bank, the risk premium which is the average percentage added to the treasuries’ rate in a country for lending purposes, has dropped in Tanzania from 10.7% in the year 2010, to 4.1% in 2014, an average annual decrease of 1.50%. Despite low risk premiums, the borrowing costs still keep at a high level, it is common to find loan rates at any commercial bank in the range 18% to 30%. Tanzania’s average treasuries’ rate have increased from 7.5% in the year 2010, to 12% in 2014, however borrowing cost have kept quite stable despite high rates, due to the decrease in the risk premium, a consequence of the Tanzania’s good governance practices. The DSE has 21 listed companies with a total market capitalization of TZS 23,044 billion. It is also listing corporate and government bonds, with a worth of TZS 3,960 billion.